Most of the students who want to be a programmer have this question that which programming language should they learn first. If you ask this question to somebody else then they get only one answer that you should learn C programming language first. Mostly when you have any vacations or summer vacations then you want to learn a programming language. 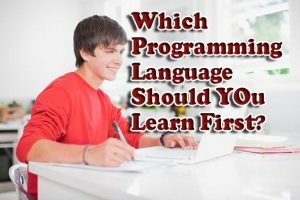 At this time many students face this question that which programming language should you learn first? Many boys and girls ask me this question. So in this article, we will talk about which programming language should I learn first? So as I really think that you should consider these four things before starting your career with programming. So in this article, we will talk about these four things to know the answer to this question. Firstly we should see the market value of a programming language. You should know about market value via online and offline. In many places you will get that there is Python is very popular, as well as in many places you will get that android or IOS apps are very popular etc. So you should see the market value of programming language. If you want to research online then you should use nokari.com timesjobs.com etc will be useful for your research. So you should consider that is that programming language in boom or not. And you should choose the programming language with your interest. 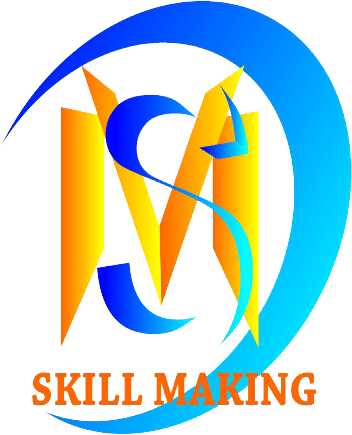 Secondary you should consider that what you want to make by that programming language which you really want to learn? If you want to become a software engineer then you should go for Java. Java is a very popular programming language for software development. You can make very interesting and useful software by Java programming language. You can also learn Python. Python is also a very popular and useful programming language for software development. So if you want to become a software developer then you can start with Java and switch to Python. In these, both languages you will get that Python is so simple and Java is super complicated programming language sometimes. So it’ll your decision. But I will recommend you that you should learn Java first. In the scenario, the no.2 field is android app development. If you want to become an android app developer then you should start with Java. After, you should switch to Kotlin. At first, you should hardly learn the basics of Java. And you should build Android apps with Java. Then you can start development with Kotlin. In this scenario, the no.3 field is IOS development. If you want to become an IOS developer then you should straightly go for Swift. Swift is a very popular programming language which used for IOS development. As you know that IOS apps are much costly then android app. So you can also start your career as a freelancer. In this scenario, the no.4 field is Artificial Intelligence & Data Science. It has also a beautiful scope at this time. If you have an interest in Artificial Intelligence & Data Science then you should start with Python. And then you can learn R Programming, MATLAB etc. If you want to be a Game Developer then you should learn C#. C# is a very useful programming language for Game Developers. Then you can go for UNITY. And you should consider that, will the programming language die or not. As you can see that before sometime Pearl was a very popular programming language for Web Development. But now Pearl is not in Market. And you can see that Objective C was also a very popular programming language for IOS development. And as you can see that Swift uses for IOS development. So Objective C is on the die. You should never take the decision from previous myths. Many people will tell you that you should start with C after you should learn C++ and then you can go for Java. So you should keep these myths aside. You can directly learn Java. So these are the four points which you should consider before starting your career with programming. So all the best for your bright career. And I hope you got some information for your question which programming language should I learn first? If you love this article then you should share your thoughts in the comment section. You should also learn these articles which may help you.